This is a traditional jar by Lorriane Williams. 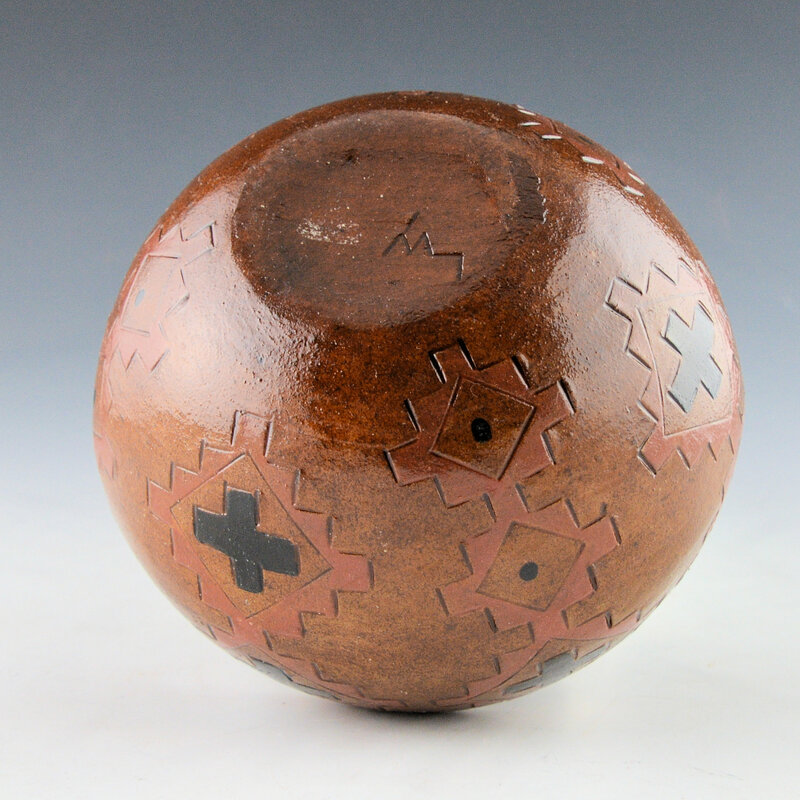 It is a round bowl and there are bands of star designs etched into the surface. The style of the stars are similar to those seen on Navajo rugs. 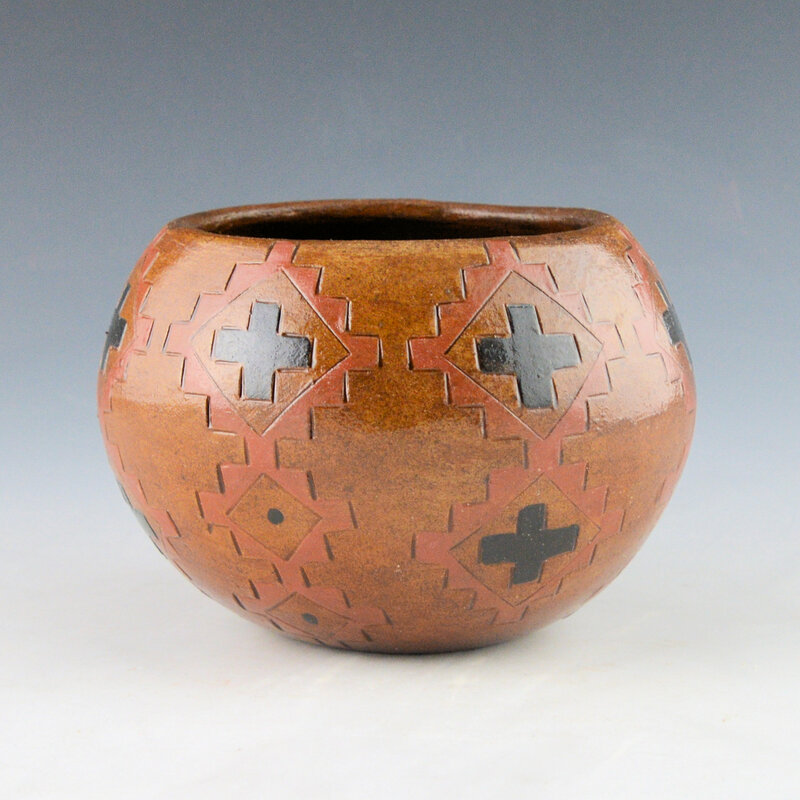 The bowl is traditionally fired to create the coloration to the surface. 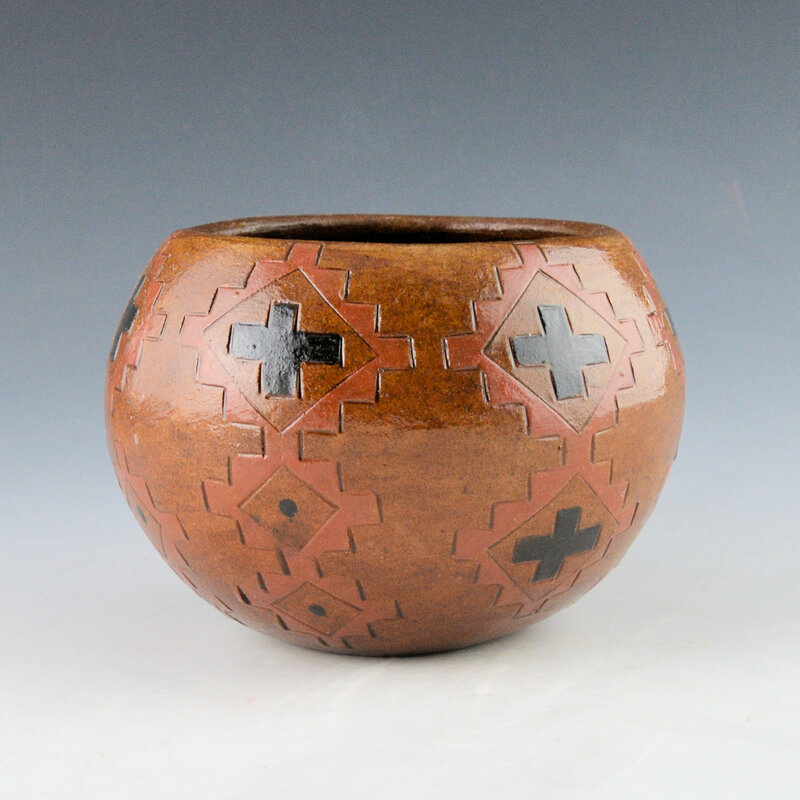 After the piece is fired it is covered in pine pitch, which is typical of all traditional Navajo pottery harkening back to when it was utilitarian. 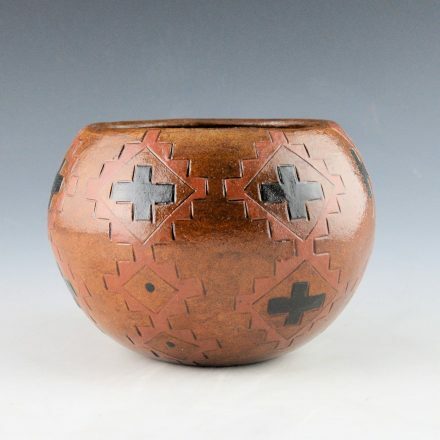 Lorraine has won numerous awards for her pottery and been featured in books such as “A Legacy of Generations”.